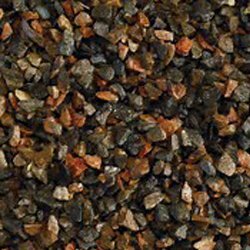 Triple Crown Concrete would like to welcome you to one of the finest ready mix companies in Kentucky. Triple Crown Concrete operates one of Kentucky’s most extensive networks of ready mix plants with 10 plants to service your ready mix needs. 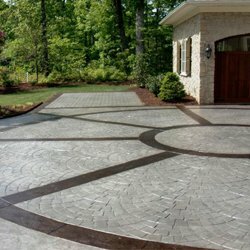 Triple Crown Concrete is committed to producing and providing our customers quality materials and service. Triple Crown is a division of Hinkle Contracting Company, LLC., which is a company whose reputation for quality work dates back to 1942 with a strong reputation, strong community ties and a commitment to their employees that is unmatched in the industry. Whether you want to join our team, partner with us on your project needs or buy materials, Hinkle/ Triple Crown Concrete welcomes the opportunity to work with you. Safety isn't just a slogan at Triple Crown Concrete, it is a way of life! 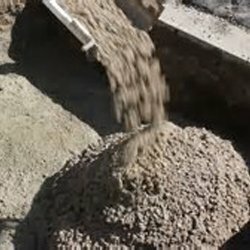 Concrete supply is what we do at Triple Crown Concrete, and we pride ourselves on that. Triple Crown Concrete formerly Ready Mix Concrete started in 1949 and employs approximately 100 people in ten counties throughout the state of Kentucky. Be it large-scale residential or commercial concrete work or a more small-scale private job, we’ll take it and finish with a quality and efficiency that can’t be matched. On July 29, 2017, Hinkle Contracting purchased Ready Mix of Somerset and after careful consideration decided to change the name on November 17, 2017, to Triple Crown Concrete, a Division of Hinkle Contracting Company, LLC. Triple Crown has 9 ready mix plants serving our market area and is investing in the business with 20 new mixer trucks and millions in plant upgrades. For almost 65 years putting the customer first and producing a high quality product using the most up to date and modern equipment for a reasonable price has built our reputation not just to stand on, but to continue to grow on. 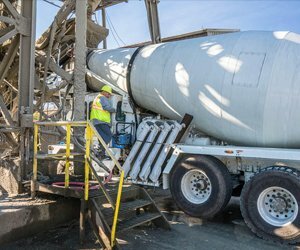 At Triple Crown Concrete we face every day and look at everything we do as building another step toward the future, and we thank our customers for giving us that opportunity. We welcome the opportunity to work with you.